I can’t get enough of this wedding. 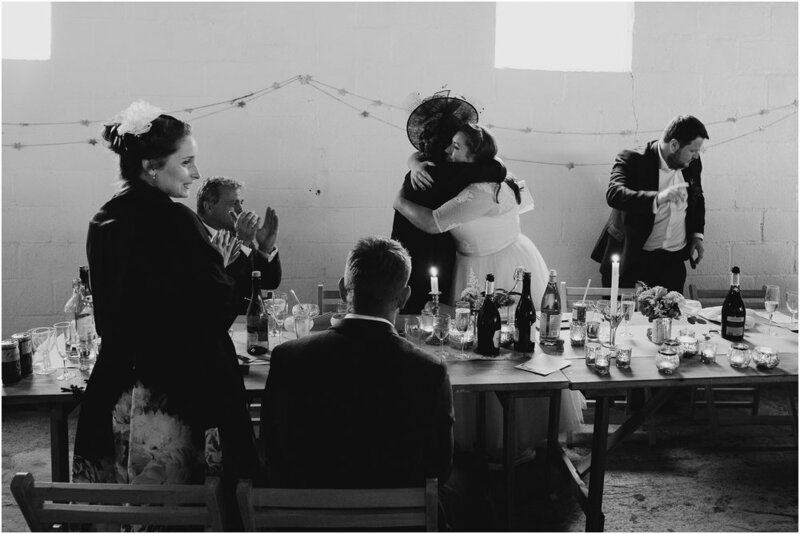 Steph + Tony had the most gorgeous humanist ceremony (performed by their friend!) under an enormous pear tree in front of their favourite people. 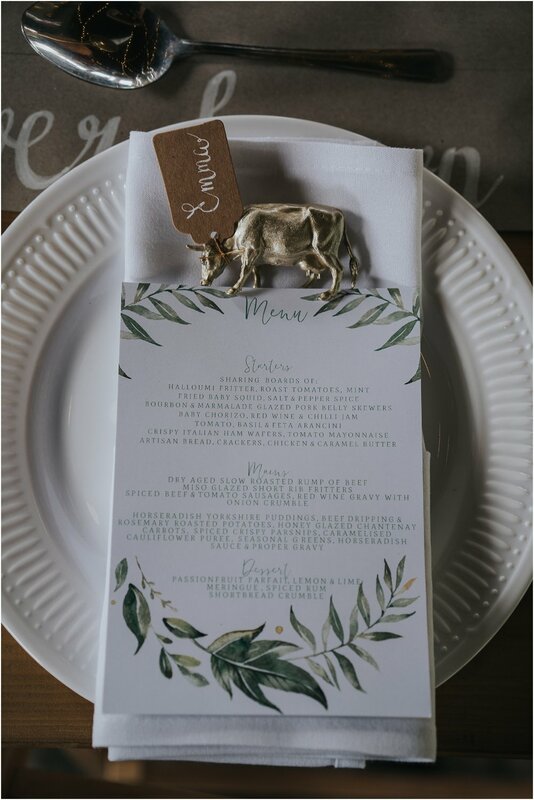 The reception was held in a cattle barn (cows removed especially for the occasion) with golden cows as name places and famous couples illustrated as centrepieces (illustrations also by a friend). 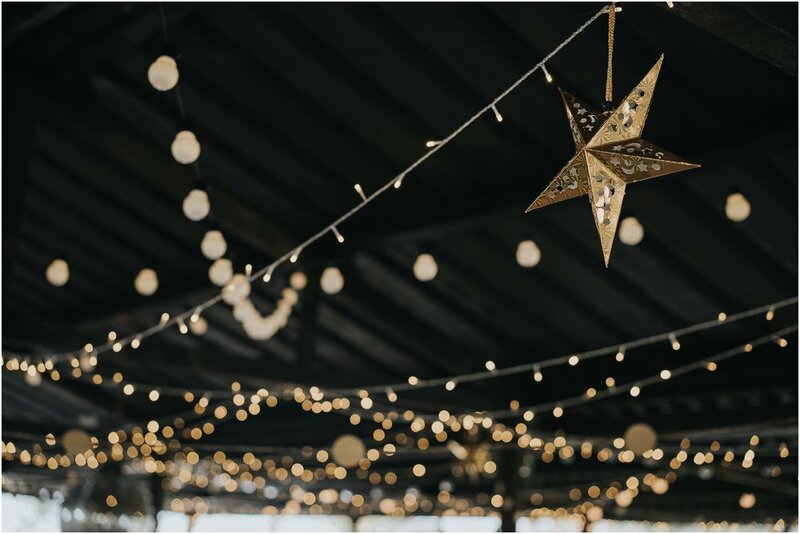 The ceiling of the barn was illuminated with festoon lights and golden garlands to create constellations, complete with a homemade disco ball…made out of a freaking space hopper…a SPACE HOPPER (also made by a friend - what a talented bunch!)! 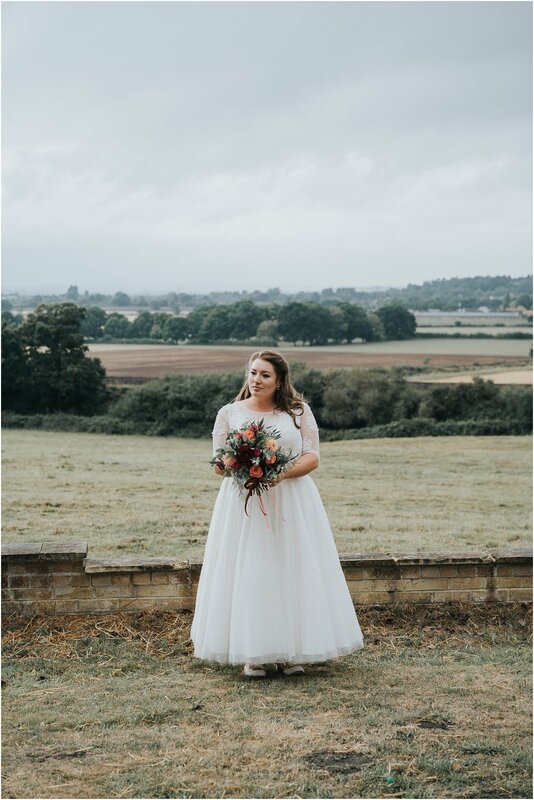 Steph looked like a retro goddess in her 50’s style dress by Lou Lou Bridal (customised by Hen House Brides), with the most gorgeous bouquet by Emma at Stems Florist. Such beautiful flowers! 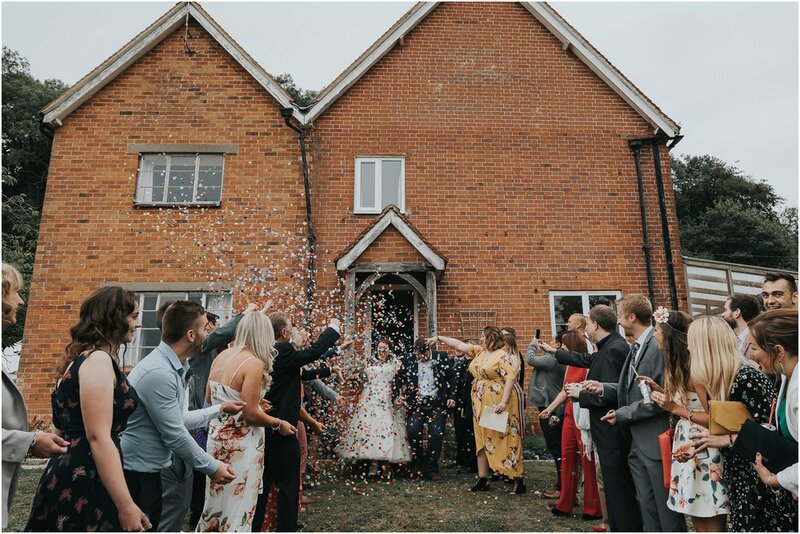 You know I love me a confetti shot and as far as I am concerned, the more colour the better. This did not disappoint. NOT. AT. ALL. 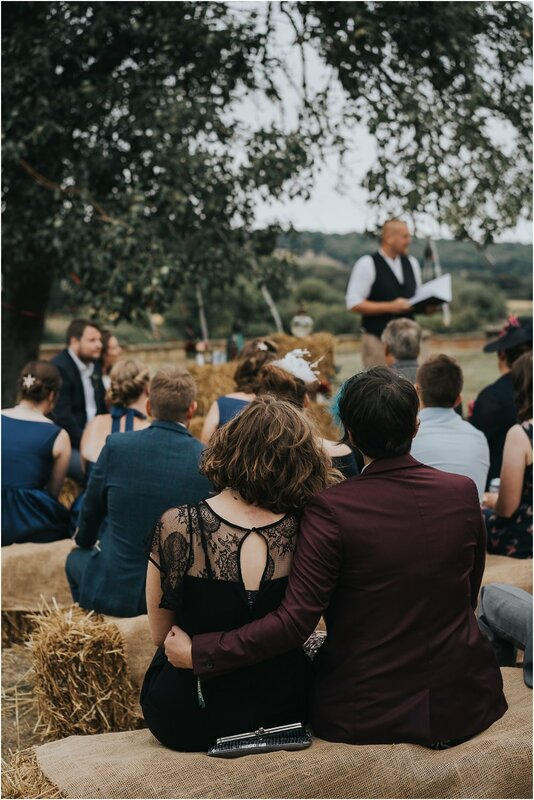 This was my first wedding with a traditional ceilidh dance - it looked like the most fun thing ever. 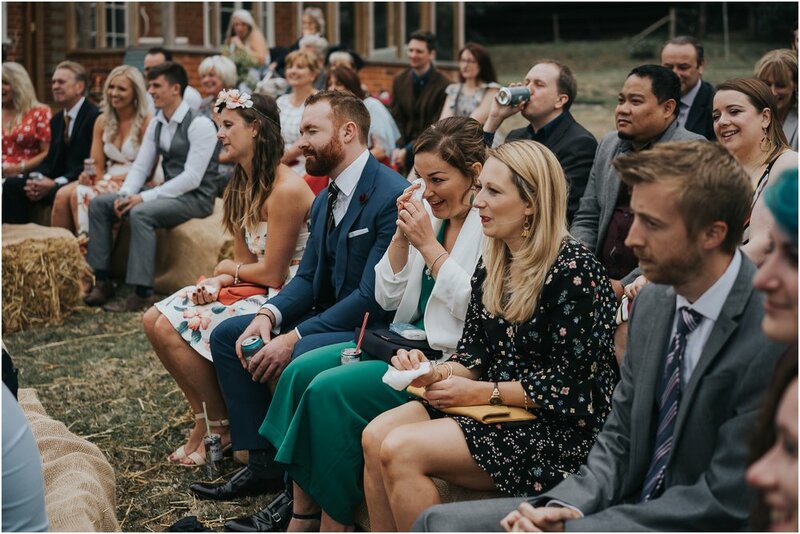 AND, if all this wasn’t good and exciting enough, I just so happened to go to both primary and secondary school with Steph, so it was particularly wonderful to watch her tying the knot with the love of her life.